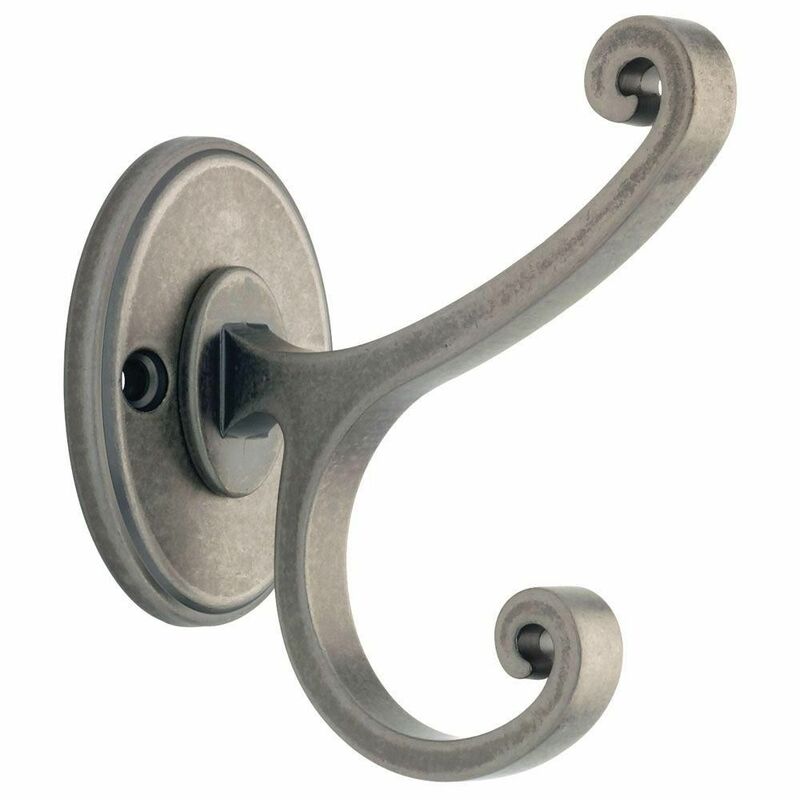 The Amerock H55451ORB Large Coat and Hat Hook is finished in Oil-Rubbed Bronze. Single hooks are most versatile and can be mounted into wood surfaces and drywall. The Oil-Rubbed Bronze finish is a rich, dark brown old world finish with striking light and dark accents. Casual Scroll Coat & Hat Hook Organization with style has never been so easy. This metal hook is designed to hold a wide variety of items coats, hats, handbags, umbrellas, towels or robes. This classic design is perfectly suited for any room from the entryway to the bathroom. Casual Scroll Coat & Hat Hook is rated 4.5 out of 5 by 4. Rated 4 out of 5 by WVUfan from These are beautiful hooks. I would have given them... These are beautiful hooks. I would have given them a five star, but they don not include matching screws. Rated 4 out of 5 by Ronald from Nice coat and hat rack, did not include any mounting... Nice coat and hat rack, did not include any mounting screws. Rated 5 out of 5 by Dadwood2251 from Very Nice & Sturdy I made a coat rack with these mounted on Oak and they look great. The only thing if you do something similar don't drill the pilot holes the size on the package there to large and the screws go right thru. Rated 5 out of 5 by bcarr16 from Worked well and looks great! No problem on installation and looks great! It was a great addition to our closet.